The beautiful wild tiger is heading quickly toward extinction, with its diminishing numbers estimated at a meager 3,500. Extensive poaching has decimated a number of species of rare animals, including tigers and the animals they prey on. Yet China is considering a policy that would open its market to tiger parts, which could entice more poaching of wild tigers. Chinese officials promise to keep the ban on wild tiger products. But that guarantee is a thin, unenforceable and inhumane distinction to draw between wild and farmed tiger parts. Wild tigers struggle enough from rapidly shrinking habitat and food sources. Humans have hunted the tiger's primary prey, such as deer and wild pigs, almost to extinction. Lifting China's successful ban on the tiger part trade would only increase the threat from profit-driven poachers by placing an irresistible bounty on the head of wild tigers. Please help protect the last remaining wild tigers from extinction. Sign our petition to China's Department of Wildlife Conservation today, and urge them to keep their effective ban on the tiger part trade. Wild tigers are in crisis. With their population at an estimated 3,500, it is crucial for those who hold their fate to make the right decisions. Opening the Chinese market to tiger products is not the right decision, and could drive wild tigers to extinction. Poaching, along with environmental degradation, is diminishing the wild tiger population; legalizing the trade of tiger parts would encourage even more poaching. Killing a tiger in the wild is 250 times cheaper than raising it in captivity, a sad incentive for tiger part sellers seeking the most affordable way to obtain tiger parts. It is difficult to distinguish between wild and farmed tiger parts, and equally difficult to enforce, which will allow many to poach without facing the legal consequences. Scientific studies in India have shown that wild tigers could not sustain increased levels of poaching, which would most likely result from legalizing the trade of tiger parts. I urge you make the vital decision to uphold China's ban on the tiger product trade in order to protect wild tigers from extinction. Saving wild tigers in this way will have few negative consequences. Leaders of the global traditional Chinese medicine industry have said that they do not need tiger products and would actually prefer to use alternatives. Also, alternative, legal industries could potentially take the place of the tiger parts industry. But in the end, there is value simply in preserving this beautiful species in its natural habitat. Sadly, all attempts to introduce captive-bred tigers into the wild have failed so far. Captive-bred tigers lack fear of other tigers and humans, making them a dangerous predator to humans and easy targets for poachers and other tigers. The wild tiger population must be preserved because it cannot be replaced. Last summer, all 171 countries represented at the Convention on International Trade in Endangered Species Conference (CITES) agreed that the tiger trade should be banned. Please join the world effort to protect wild tigers from extinction and uphold the ban on the trade of tiger products. Scientific studies in India have shown that wild tigers could not sustain increased levels of poaching, which would most likely result from legalizing the trade of tiger parts. I urge you make the vital decision to uphold China's ban on the tiger product trade in order to protect wild tigers from extinction. [Your comments here] Saving wild tigers in this way will have few negative consequences. Leaders of the global traditional Chinese medicine industry have said that they do not need tiger products and would actually prefer to use alternatives. Also, alternative, legal industries could potentially take the place of the tiger parts industry. But in the end, there is value simply in preserving this beautiful species in its natural habitat. Sadly, all attempts to introduce captive-bred tigers into the wild have failed so far. Captive-bred tigers lack fear of other tigers and humans, making them a dangerous predator to humans and easy targets for poachers and other tigers. The wild tiger population must be preserved because it cannot be replaced. Last summer, all 171 countries represented at the Convention on International Trade in Endangered Species Conference (CITES) agreed that the tiger trade should be banned. 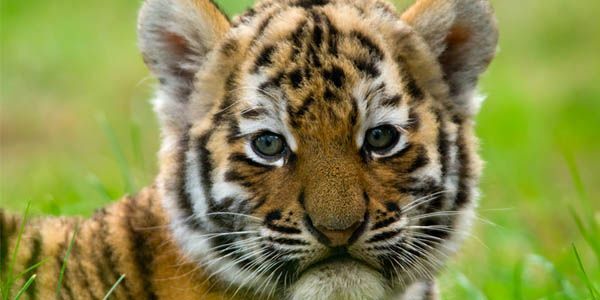 Please join the world effort to protect wild tigers from extinction and uphold the ban on the trade of tiger products.